I don’t know about you, but the thought of going to the shops, with all the other holiday exhausted families is not something I want to rush out and do. Instead, I’d rather order as much of my back to school supplies online in the comfort of my own home, in my pj’s and drinking a glass of wine. Now I understand that you’re going to have your list of school books you have to purchase for the classroom and clearly I’m not going to have all of these in my Finlee and Me online store. However, the items I do carry are going to be items that will make your life easier, allow you to stay connected with your kid while at school and also create childhood memories. Not only do we have over 15 different lunch bags to choose from, but these awesome lunch bags also will keep your little ones food cold for up to 8 hours. That’s right, keep the food cold for up to 8 hours; no more hot yogurt. To view the entire range head to Finlee and Me lunch bags. These amazing bento boxes for kids are 100% brilliant. No more spills all over the backpack, books etc because these Yumboxes for kids are leak-proof. I also love that they are great for portion control, but also encourage healthy eating. 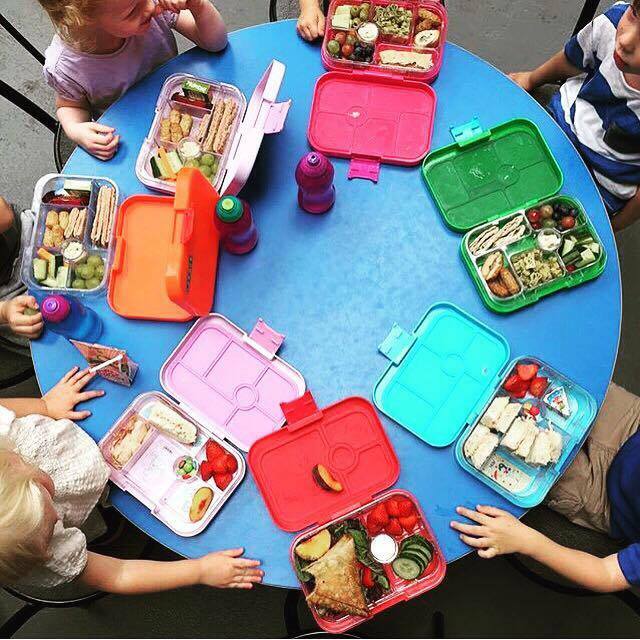 To view the entire range head to: Finlee and Me Yumbox Collection. I try hard to help out the environment when I can and that’s why I love these reusable sandwich and snack bags for kids. This means I don’t have to use plastic bags for Finlee’s lunch and I know that at least once a day I’m helping to reduce the waste to our landfills. View our full range here: Finlee and Me Reusable Sandwich and Snack Bags. I don’t know what it is, but kids are more likely to eat their sandwiches when they are cut into cool shapes. I also love that our sandwich cutters are not only for school aged kids, but are equally great for new babies learning to eat and working on fine motor skill development.View our full range here: Finlee and Me Sandwich Cutters. How cute are these whimsical cards that have cool trivia, funny jokes, positive sayings and blank cards for you to create your own messages. Our lunch box cards are a wonderful way for you to stay connected through out your child’s school day. View our entire range here: Finlee and Me Lunch Box Cards. What back to school supplies are a must have at your home; let me know in the comments below.